Thanks to Smith’s in Jackson for being a new distribution point for WLM! Don’t forget to say hello to Mitch Alm, Manager of Smith’s! Thanks guys! As another growing season is beginning, the Greater Yellowstone Coordinating Committee encourages people to be mindful and efficient in their water use and to utilize practices that use less water in their residential or business landscaping. The committee’s Sustainable Operations Subcommittee is now offering a free, illustrated, color booklet entitled “Xeriscape Landscaping in the Greater Yellowstone Area” which includes suggestions for water-conserving plants and landscaping techniques. Water and energy conservation is a priority for the Greater Yellowstone Coordinating Committee, a group that is comprised of the Greater Yellowstone Area federal land managers. While some of the West’s great rivers that inspirit and sustain this extraordinary environment originate on federal land in the Greater Yellowstone Area, we all share the responsibility to use our water wisely. For a free copy of this booklet, call your local Forest Service office on the Custer Gallatin, Shoshone, Bridger-Teton, Caribou-Targhee national forests, or the Madison Ranger District in Ennis. Blake Nursery, which provided valuable assistance in the creation of the guide, also has copies available for the public in the Big Timber area. An electronic copy is posted online at http://fedgycc.org/SOSOverview.htm. For more information, contact Jane Ruchman at (406) 587-6966. National Park Week begins Saturday, April 19, making this a wonderful time for an early season getaway to experience the wonders of Grand Teton National Park and the John D. Rockefeller, Jr. Memorial Parkway. Visitors can participate in special National Junior Ranger Day programs on Saturday, April 26. Join us for fun and free activities for the whole family, starting this weekend. The entry fee for a private, non-commercial vehicle to Grand Teton and Yellowstone national parks normally costs $25 for seven days. National Park Week wraps up with a celebration of National Junior Ranger Day on Saturday, April 26. Free events will take place at the Craig Thomas Discovery and Visitor Center (CTDVC) in Moose and children who participate in at least three of the activities will earn a Junior Ranger badge or patch. From 11 a.m. to 2 p.m., families can explore rescue vehicles and equipment used in park operations including fire engines, ranger patrol cars and snowplows. Visitors are also invited to: participate in physical games testing their skills in an obstacle course; compete against the natural abilities of wildlife in Animal Olympic Games; listen to tales about Grand Teton in the story corner; touch animal furs, feathers and bones or dress up in a real ranger uniform; and spring into fitness with St. John’s Medical Center Wellness Services staff. Bird handlers from the Teton Raptor Center will be present from 11 a.m. to 1 p.m. to provide information and demonstrations with live birds of prey. Junior Ranger Day is made possible in part with funding by the park’s long-time partner Grand Teton Association (GTA), who will offer a 15 percent discount in the CTDVC bookstore. Participants can buy educational materials, books and other merchandise like videos, posters, and plush animals by using this special discount. Thanks to the GTA, free shuttles will also be available to transport families from Jackson to the CTDVC for the Junior Ranger Day events. Space on the shuttles will be limited and available on a first-come, first-served basis. For more information about Junior Ranger Day activities or about the free shuttle service, please call the CTDVC at 307.739.3399. Additional information about National Park Week, including a list of nationwide events can be found online at www.nationalparkweek.org. Paved multi-use pathways will be fully accessible for use once the snow melts naturally. All backcountry camping permits cost $25, whether advanced reservation or walk-in. Backcountry reservations may be made until May 15 with an additional $10 fee for advanced booking. Reservations can be made online at Recreation.gov. After May 15, all backcountry site permits are issued on a first-come, first-served basis. Bicyclists are reminded that they must stop and show an entry pass before proceeding through the gates, just as vehicles are required to do. An automated self-serve machine is located on the multi-use pathway adjacent to the Moose Entrance Station. People traveling on the pathway by foot, bike, or rollerblade will be required to stop and pay $12 for a 7-day entry permit, or have a valid pass in possession. Personal identification is required with any pass that requires a signature. For additional information about activities and services within Grand Teton National Park or the John D. Rockefeller, Jr. Memorial Parkway, please visit the park’s website www.nps.gov/grte, stop by any visitor center, or call 307.739.3300.
visit our website & read the new Sprinter 2014 issue! Our guest blogger, Liberty Lausterer, is back with another introspective look at our square state. Liberty moved to Wyoming within this past year, and offers us her perspective at life in the Cowboy State from a new resident’s eyes. Here’s a scary thought. According to Tyler Nordgren, author of Stars Above, Earth Below: Astronomy in the National Parks, 50% of children born this year will never see the Milky Way. I’m no astronomer, but I’d say that’s pretty tragic news. At a recent talk Nordgren gave at UW, he shared how light pollution is quickly turning the night sky into a rare commodity. We have now entered the era in which families across the U.S. will have to pack their kiddos into a car and drive a lengthy distance to a national park (spending lots of money on gas and lodging and drive-through meals), all so their kids can see the stars. And in some cases (such as Great Smoky Mountains National Park) not even the parks are immune to the devastating effects of light pollution. The good news is we in Wyoming don’t have many city lights. It’s one of the many things I love about living in a sparsely populated state! But what our children, and our children’s children, will see in the coming generations depends a lot on the choices we make today. From the lights we install in our yards to light up our walkways, to the street lights we approve as communities, the fate of Wyoming’s night sky rests in our hands. John Muir, the naturalist, said “When we try to pick out anything by itself, we find it hitched to everything else in the universe.” My husband and I have stopped turning the front porch light on when we leave for the evening. I guess you could say it’s our small act of gratitude for the gift of this incredible Wyoming sky we share. So hitch your wagon to the stars! BOZEMAN – Managers from the state, tribal, and federal agencies responsible for recovery of the grizzly bear in the Yellowstone Ecosystem heard good news at their recent meeting in Bozeman, Montana. Despite being a poor cone production year for the already beleaguered whitebark pine trees (WBP), managers heard reports of surprisingly few conflicts between humans and grizzly bears, even though a record count of 58 unduplicated females with cubs were observed in the ecosystem this year. Especially promising was that a female with cub was documented in each of the 18 bear management units used to keep track of the bear population. In addition to reports of minimal conflicts from all of the states and national parks, managers also heard a report on the annual population status from the Interagency Grizzly Bear Study Team (IGBST). Utilizing existing statistical methods the population estimate for the Yellowstone Ecosystem in 2013 is 629. Because grizzly bears have yet to enter their dens for hibernation, all of the information presented regarding conflicts was labeled as “Draft,” but current data shows 25 known grizzly mortalities recorded so far, which represents less than half the mortalities in 2012. The food synthesis research was presented to the YES members who then voted to conditionally support the findings, pending completion of a final section of the report and having all the research peer reviewed and published in professional journals. The IGBST will be presenting the same information to the IGBC at their December meeting in Missoula, Montana. Both the YES and the IGBC will make recommendations of the USFWS, the agency responsible for deciding on whether a new proposed rule proposing to again delist Yellowstone bears would be developed and published for public comment. USFWS will likely make a final decision in late December or early January on whether to produce a new proposed rule or not. To learn more about grizzly bear recovery visit: www.igbconline.org. To view reports by the IGBST regarding the Yellowstone grizzly bear population visit: http://www.nrmsc.usgs.gov/research/igbst-home.htm. 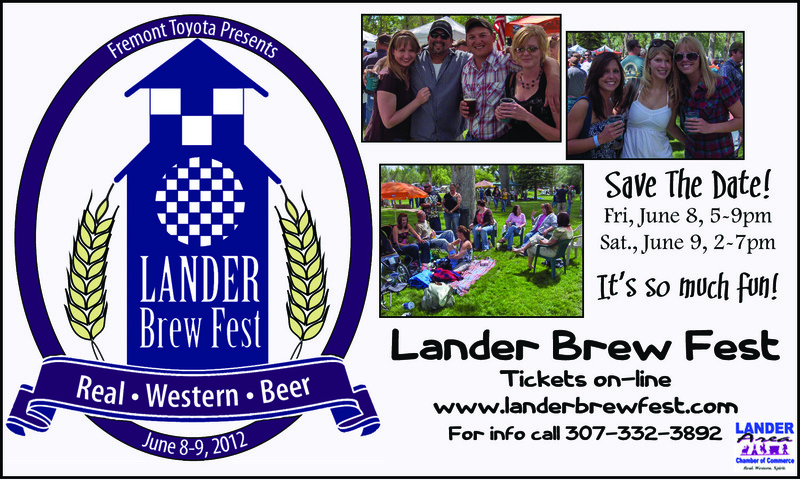 click the Lander Brew Fest image above to connect with more information! Looking for a great run/walk program? Check out the Worland/Ten Sleep Chamber of Commerce’s Big Horn Mammoth Run, held on June 9, 2012 in Worland. Visit their website for more information and the registration form. A half marathon, 10K run and 5K run/walk are all available for every level of participant. All events begin at the Worland High School Warrior Stadium. The half marathon kicks off at 6:30 AM, the 10K/5K at 7:30 AM. The event is sanctioned by USA Track & Field. Registrations are handled through the Worland/Ten Sleep Chamber of Commerce — 307-347-3226. 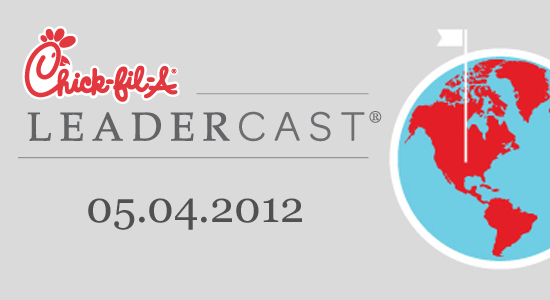 Community business leaders can access the knowledge and experience of world-renowned leaders by attending Chick-fil-A Leadercast at the Sublette County Library in Pinedale on May 4, 2012. Tim Tebow, NFL quarterback, Heisman Trophy winner and best-selling author; Urban Meyer, ESPN analyst and former head football coach for the University of Florida; Soledad O’Brien, Anchor and special correspondent for CNN; Patrick Lencioni, Best-selling author and president of The Table Group; John Maxwell, Leadership expert & best-selling author of “The 21 Irrefutable Laws of Leadership”; Marcus Buckingham, Strengths strategist, best-selling author and researcher; Angela Ahrendts, CEO, Burberry; Roland Fryer, Professor of economics at Harvard University and CEO of the Education Innovation Laboratory; Andy Stanley, Best-selling leadership author and communicator; Sheena Iyengar, Author of The Art of Choosing and world-renowned expert of choice. This year’s program will focus on the power of choice. The diverse group of internationally-acclaimed authors, leadership experts and practitioners will share insights to help leaders empower and equip others at work, at home and in the community through his or her choices. “The Chamber is proud to host for a second year along with Gillette and Cheyenne. It’s exciting for our organization to reach out to bring this renowned business event to leaders on the western part of the state,” said Terrie Swift, Executive Director for the Sublette Chamber of Commerce. For local ticketing information, call 307-367-2242 or visit www.sublettechamber.com. Breakfast and lunch will be served and the event will be presented in a comfortable working environment. $100/pp. Limited seating available. 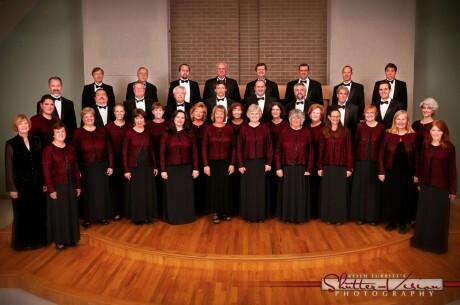 In a first-time collaboration, the Cheyenne Chamber Singers, under the direction of Sean Ambrose, will join the Gillette Chamber Singers, under the direction of Dr. Pat Patton, in a spring program of secular and sacred works. Whether you’re a member (present or past!) of the UW Women’s Club or a community member who wants to see a great fashion show… Join the club this Saturday, April 28, from 6:30-9 PM for their 100th anniversary event! Held at Hart’s Alley in Historic Downtown Laramie (404 S. 2nd St.), “Fashion Through the Ages” will present ladies’ fashion from 1912 through present day. A $5 charge at the door provides hors d’oeuvres and the show — a cash bar will be available. 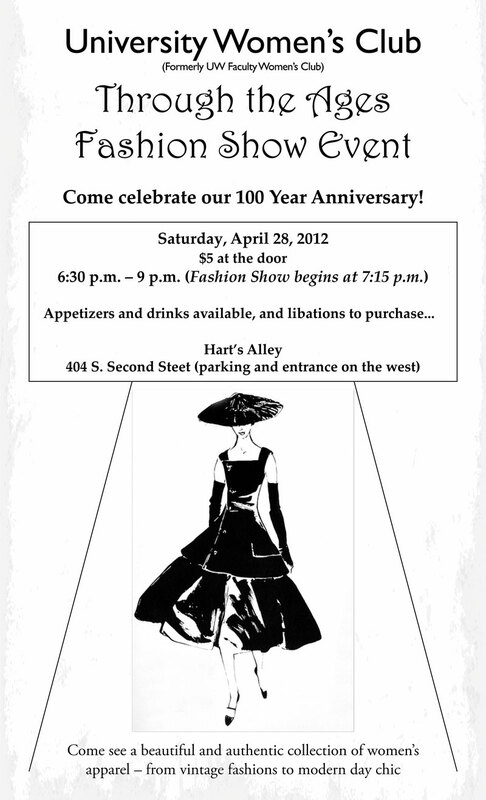 Come celebrate this club, a part of Laramie life for 100 years — as well as the changes in women’s fashion over 100 years! Learn more about the club on their website — http://uwwomensclub.com/ — The club is open to all female Laramie residents, whether they are connected to the university or not! GRAND TETON & YELLOWSTONE NATIONAL PARKS — Celebrate National Park Week, April 21-29! Visit our blog post to read more about National Park Week and how it is being celebrated, particularly in Grand Teton National Park — free admission to all of America’s national parks through April 29! 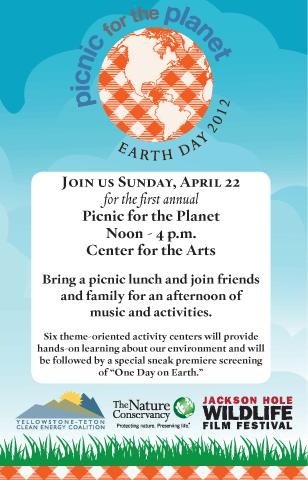 ON THE CALENDAR: Art, Earth Day, GTNP and more! The Lander Art Center’s Annual Members Show is scheduled to open May 18, 2012. We encourage artists around the state to become a Lander Art Center member and participate. Entry fee is $20 for up to three pieces or free to members at the supporter level and up. All mediums accepted. Please see Lander Art Center website for details and entry guidelines. Wyoming Film Office and Wyoming Community Media are hosting a tour of out-of-Wyoming filmmakers of movie locations around Southeast Wyoming in conjunction with the Cheyenne International Film Festival (CIFF). The CIFF begins May 17 in downtown Cheyenne with the local filmmaker and festival reception at the Depot Museum before the festival opens Friday evening May 18 and extends through Sunday May 20. Visit Wyoming Community Media’s website for more information on CIFF and the filmmaker tour. The University Women’s Club (formerly the Faculty Women’s Club) is celebrating their 100th anniversary with a look at fashion through the ages. Come celebrate the evolution of women in Laramie from 1912 to present — fashion from every decade along with hors d’oeuvres and libations to purchase. Tickets are $5 at the door, Saturday April 28, 6:30-9 PM (fashion show to begin at 7:15); Hart’s Alley, 404 S. 2nd St. (parking most convenient in the back of the buildling!). Contact club president Kati Hime at 307-755-6896 for more information on the event, organization or serving as a model! Tribal Sportswear has partnered with Fashion Crossroads (228 E. 2nd St., Casper) for their signature charity event, “Heart for Art”. Kyleen Stevenson-Braxton, Co-Owner of Fashion Crossroads, selected art teacher Nancy Lee of Dean Morgan Junior High. 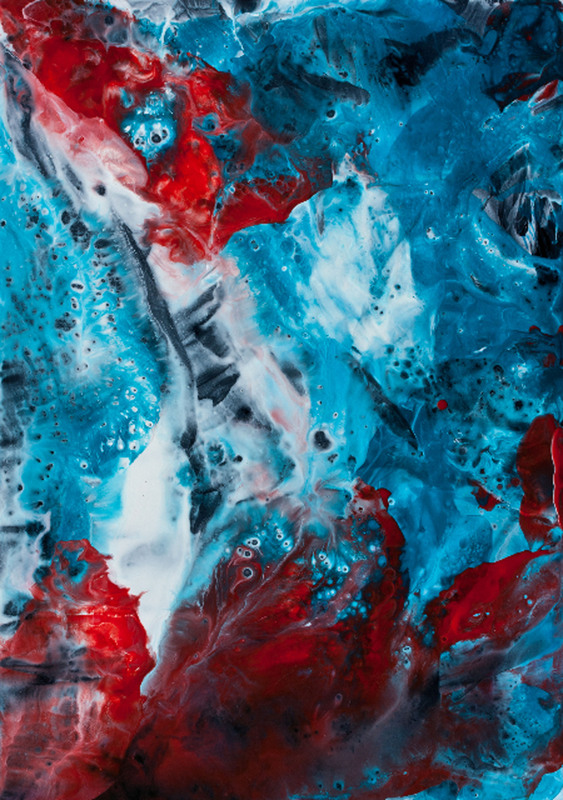 “Nancy is a creative and dedicated art teacher who continually motivates her students to produce and to tap into their creative spirits,” says a local resident. “She has a great sense of humor and she is the best art teacher I ever had in my life,” says a student. 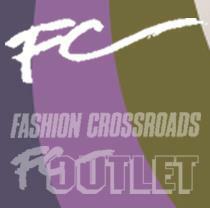 Visit Fashion Crossroads in Casper — 228 E 2nd St. — April 28th for this special event! Several fun-filled activities and events are planned for the whole family and these are also free of charge. Visitors and local residents are encouraged to plan a getaway to experience the natural wonder of Grand Teton during National Park Week. As this year’s theme “Picture Yourself in a Park” suggests, it’s a perfect time to make memories and capture photographs to share online at http://www.nps.gov/npweek/. Visit our blog post for more information on events, activities, specials and more to enjoy throughout Grand Teton National Park during National Park Week — April 21-29, 2012! Grand Teton National Park offers free admission and more during National Park Week from April 21-29. The Teton Park Road is free of snow, but vehicles are not allowed to drive it until May 1st. Consequently, National Park Week presents a wonderful opportunity to enjoy a hike, bike ride or rollerblade outing on the road before summer traffic begins. Spring weather can be changeable and inclement, so be prepared with layered clothing and/or a windproof jacket, and carry water and energy snacks. In recognition of National Park Week, The Murie Center staff will offer guided tours of the historic Murie Ranch at 4 p.m. on Saturday April 21 and Saturday April 28. Explore the Teton home of the Murie family that served as a base camp and center for the American conservation movement in the 1950s and 60s. engine, patrol car and snowplow. 11 a.m. to 2 p.m. — a ranger boot camp and obstacle course where children compete in physical activities that mimic park ranger jobs; an animal Olympics game where youngsters can test their skills against the abilities of various wildlife species; a story corner for listening to tales about Grand Teton; a touch table with animal furs, feathers and bones to feel; a cultural history station that showcases objects from the David T. Vernon Collection of Indian Arts; and a station where children can dress up in an genuine ranger uniform. 2 p.m. — a second mountain man demonstration. 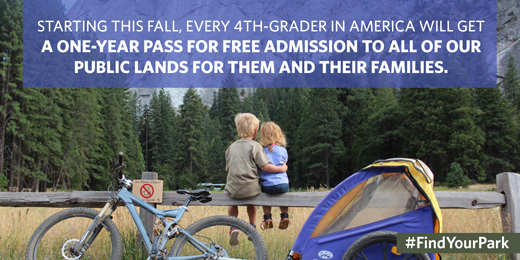 Children who participate in at least three of the activities will earn either a Junior Ranger patch or badge. Grand Teton Association will offer a 15% discount in the Discovery Center bookstore on Junior Ranger Day. Numerous educational and informational books and other interesting items (videos, posters, ornaments, plush animals, toys, etc.) may be purchased using the special Junior Ranger Day discount. During National Park Week, all 397 national park areas offer free admission all week long. A seven-day pass to Yellowstone and Grand Teton national parks is normally $25 for a private vehicle. Yellowstone National Park turns 140 today! The park was established by President Ulysses S. Grant on March 1, 1872 — the first national park in the world! It has been enjoyed by generations from across the entire planet — and its majority lies within our own boundaries in Wyoming. Idaho and Montana also contain portions of the park. The Yellowstone Caldera is the largest supervolcano on the continent, and because of this the ongoing thermal activity makes Yellowstone a site to behold — 60% of the world’s geysers reside in the park, including world renowned Old Faithful. Many people have memories and stories of Yellowstone National Park, and we’d love to celebrate its birthday today by hearing your stories! Did you visit as a child? In different seasons? 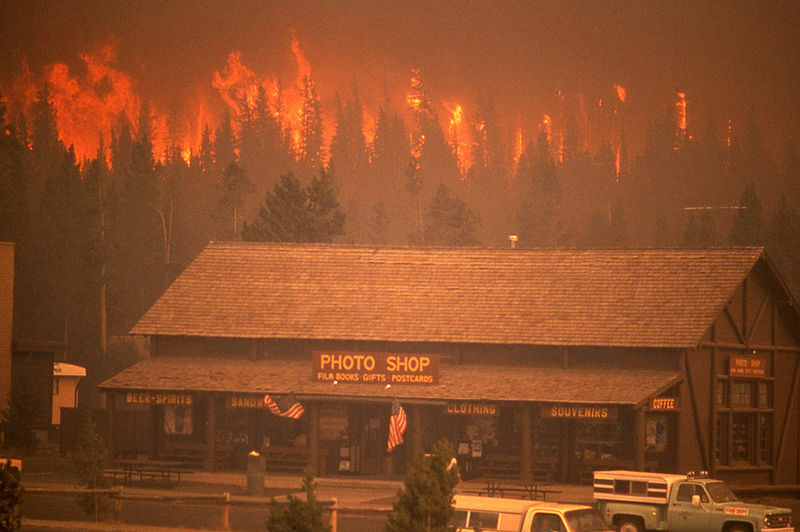 Do you remember the 1988 Yellowstone fires? As a child, our family visited the summer after the fires, in 1989. It was quite the experience! Please share your stories, photos and memories with us, and we will add them to this blog! Post here, on our Facebook page, our Twitter page (@wyolifestylemag), or email us at editor@wyolifestyle.com! 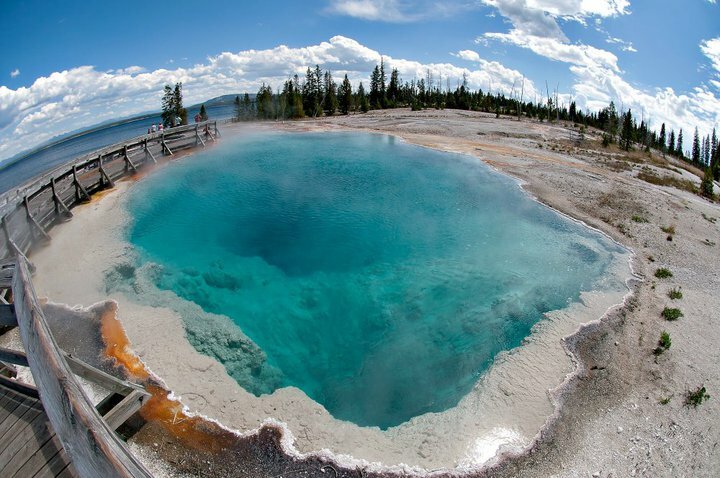 Happy Birthday Yellowstone — May you live long and wow millions more with your wonders! Many are weighing in on the incident, its implications and importance for safety. Grand Teton National Park announced the following program on July 5, which we found slightly ironic but so important. Not only is preparing yourself important, but so is protecting our natural environment for these wild animals. Be sure to be prepared whenever you journey into our Wyoming wilderness, and always remember that animals in the wild are just that — wild. Grand Teton National Park is proud to announce its participation in a new sustainability effort that recycles a specialized item commonly used in bear country: bear spray. In coordination, with other federal partners at Yellowstone National Park, the National Elk Refuge and surrounding national forests, Grand Teton recently placed collection bins at several locations to gather unwanted bear spray canisters and prepare them for recycling. Millions of people visit the Greater Yellowstone Area each year, and thousands of bear spray canisters—used and unused—are disposed of in trash containers because they are not allowed on commercial flights, or visitors no longer have a need for the spray after they leave the area. These bear spray canisters enter the waste stream, causing a serious environmental concern. In addition, waste disposal workers are exposed to accidental discharge of pepper-laced propellant at disposal sites. To correct this problem, a new recycling center was established this year in Yellowstone. The effort to curb the growing number of bear spray canisters in landfills emerged two years ago, when Yellowstone park managers and the Wyoming Department of Environmental Quality agreed that a recycling project could resolve this issue. The solution came from three Montana State University (MSU) engineering students who designed a machine that removes the pepper oil and propellant before it crushes the canister. The recycling unit is able to extract all contents through a filtering process that safely separates the ingredients. The empty canisters are then punctured, flattened and sold to any recycling center as high quality aluminum. Using the principles that were developed by the MSU students, a Montana-based manufacturing firm produced the first-of-its-kind canister recycling unit. The recycling unit, located at Mammoth in Yellowstone, began operating this spring. To fund manufacture of the specialized unit, donations were secured from the Greater Yellowstone Area business community. Collection sites within Grand Teton National Park include: Colter Bay Visitor Center, Colter Bay Cabins, Jackson Lake Lodge, Jenny Lake Ranger Station, Jenny Lake Visitor Center, Gros Ventre Campground, Signal Mountain Lodge, and the Craig Thomas Discovery Visitor Center. 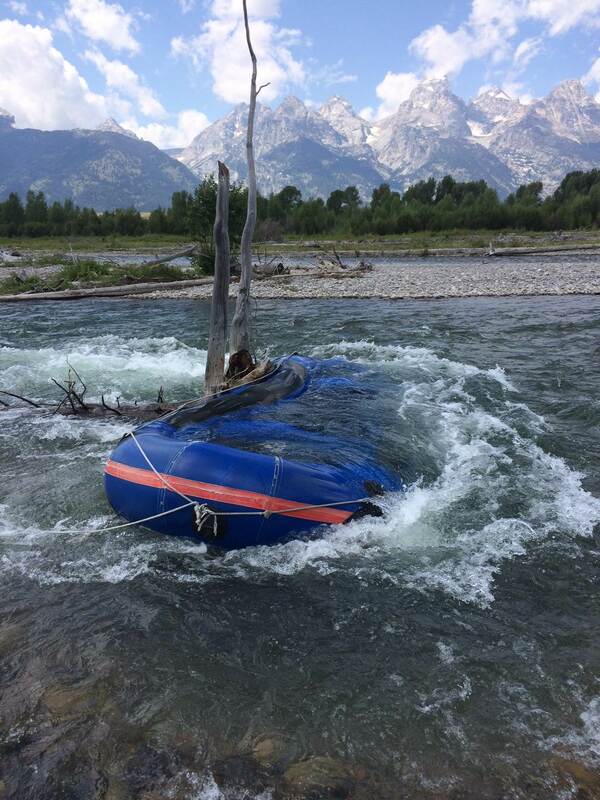 Collection sites are also located at the Jackson Hole & Greater Yellowstone Visitor Center at the National Elk Refuge and Teton County Recycling at 3270 South Adams Canyon Road. In addition, collection sites are located at several private businesses, and at the Jackson Hole Airport beginning July 15. Yellowstone is accepting bear spray canisters at most hotels, stores and at all park entrances.